You Are Here: Home → Is Saturday's Spurs-Cavs an NBA Finals preview? The starters for the 2017 NBA All-Star Game have been announced, but one big-time player was not included. When Jeff Van Gundy calls the San Antonio Spurs’ game at the Cleveland Cavaliers on Saturday as part of ABC’s NBA Saturday Primetime series, it will be the rare instance in which the league’s perpetually ignored powerhouse is given its just due. 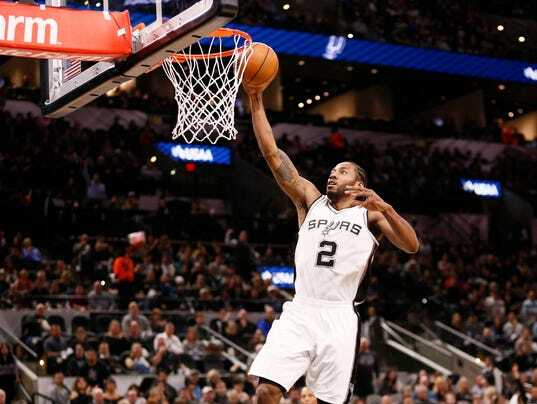 The former head coach will likely rave about Gregg Popovich and his latest masterpiece, detailing the way in which the Spurs mastermind has maximized talents like Kawhi Leonard and LaMarcus Aldridge en route to a 33-9 record that bests the defending champs (the Cavs are 30-11). He may explain how San Antonio’s against-the-grain style could give them an edge come playoff time, when their sheer length and size might force opponents who want to play small to conform. He’ll surely mention the Thursday injury to Pau Gasol, too, as the veteran center is out for the foreseeable future with a broken bone in his left hand. Russians at the Rio Olympics: Who’s In, and Who’s Out?